Most Reliable Printer Brands - Which? Our unique reliability survey helps you choose a printer brand that will last. See how brands including Brother, Epson and HP compare. The results of our latest printers reliability survey have revealed that the most common issue customers face is related to hardware. Around a tenth (11%) of respondents reported issues with their printer's ink jets or print heads not working. Knowing which brands develop the most faults and how quickly can be an important buying decision. That's why each year we ask more than 10,000 Which? members to tell us whether they are happy, or have experienced problems, with their computing products in our unique reliability survey. Our survey data takes into account the fault rates reported by their owners plus the severity of these faults and how soon after the products had been bought that they occurred. In our latest analysis we've looked at the performance of the biggest printer manufacturers – including Brother, Epson and HP – and calculated a reliability rating for each so you know which brands to choose – and the ones to avoid. Which printer brand stays fault-free the longest? As you can see from our graph above, there's a noticeable difference between the best and worst printer brands when it comes to average score, reliability rating and customer satisfaction. The table below summarises this year’s reliability results. Brands are ranked by their customer score, which relates to whether their customers would recommend it and how satisfied they are. The more stars for reliability, the fewer the problems reported. Data based on a survey of 6,823 Which? members June-July 2018. The results of our latest reliability survey show that if you experience an issue with your printer, it's likely the fault will prevent the ink jets or print heads from functioning. Around a tenth (11%) of respondents said this was the case for their product. Meanwhile, around 11% of Which? members said their printer had developed a fault with the wi-fi connection. Other reported faults included problems with the paper feed (10%), connecting to a laptop or smartphone (9%), recurring problems with paper jams (6%) and misaligned prints (3%). Our most reliable printer brand ages particularly well. In fact, of the printer owners with a seven-year-old machine, only 20% of users reported a fault. However, the printer brand with the lowest reliability score didn't impress as much – 25% of owners reported a fault on three-year-old models, with that figure rising to 30% for six-year-old printers. The top-performing printer brand in our most recent survey finished up with a reliability score of 74%, while the worst performer has a score of 52%. 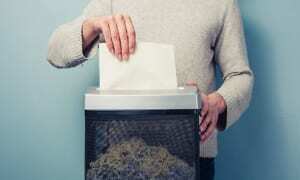 Which printer brand stays fault-free for longest? The graph above shows how the brand that stays fault-free for the longest compares with the worst brand and the overall average. Which? members can see how brands compare for faults over a five-year period in the table below. Minor A fault that doesn't affect the product's performance significantly or a fault that only occurs occasionally with minimal impact. This issue may be irritating or annoying but it isn't frequently problematic and you can easily work around it. For example, recurring paper jams. Major A fault that has a noticeable effect on the product’s performance. This fault affects how you use the product and can be problematic. For example, the scanning feature does not work correctly. Catastrophic A fault that renders the product unusable, with the fault needing to be repaired or parts replaced before it can be used again. For example, the printer fails to turn on. Choose a brand from the list below to find out more about its performance in our survey. Table notes Average test score based on results of models tested in the past three years (at 10 October 2018) that are still available. The customer score and brand reliability rating are based on a Which? member survey in June-July 2018 of 6,823 printer owners. The customer score is based on whether members would recommend the brand to a friend, and reliability is based on members’ experience of that brand. Table last updated 10 October 2018. Find out how well Brother printers score for reliability, and how Brother fares against rival printer brands. 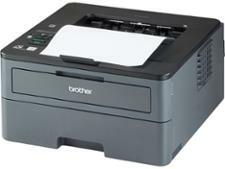 Discover the most common issues found with Brother printers as users report on a range of faults, including power problems, slow wi-fi connectivity and hardware failures. See how Brother fared based on its customer score – we asked those in our survey how satisfied they were with Brother printers, and how likely they were to recommend them to others. Find out how well Canon printers score for reliability, and how Canon fares against rival printer brands. Discover the most common issues found with Canon printers as users report on a range of faults, including power problems, slow wi-fi connectivity and hardware failures. See how Canon fared based on its customer score – we asked those in our survey how satisfied they were with Canon printers, and how likely they were to recommend them to others. Find out how well Dell printers score for reliability, and how Dell fares against rival printer brands. Discover the most common issues found with Dell printers as users report on a range of faults, including power problems, slow wi-fi connectivity and hardware failures. See how Dell fared based on its customer score – we asked those in our survey how satisfied they were with Dell printers, and how likely they were to recommend them to others. Find out how well Epson printers score for reliability, and how Epson fares against rival printer brands. Discover the most common issues found with Epson printers as users report on a range of faults, including power problems, slow wi-fi connectivity and hardware failures. See how Epson fared based on its customer score – we asked those in our survey how satisfied they were with Epson printers, and how likely they were to recommend them to others. Find out how well Hewlett-Packard (HP) printers score for reliability, and how Hewlett-Packard fares against rival printer brands. Discover the most common issues found with Hewlett-Packard (HP) printers as users report on a range of faults, including power problems, slow wi-fi connectivity and hardware failures. See how Hewlett-Packard (HP) fared based on its customer score – we asked those in our survey how satisfied they were with HP printers, and how likely they were to recommend them to others. Find out how well Kodak printers score for reliability, and how Kodak fares against rival printer brands. Discover the most common issues found with Kodak printers as users report on a range of faults, including power problems, slow wi-fi connectivity and hardware failures. See how Kodak fared based on its customer score – we asked those in our survey how satisfied they were with Kodak printers, and how likely they were to recommend them to others. Find out how well Lexmark printers score for reliability, and how Lexmark fares against rival printer brands. Discover the most common issues found with Lexmark printers as users report on a range of faults, including power problems, slow wi-fi connectivity and hardware failures. See how Lexmark fared based on its customer score – we asked those in our survey how satisfied they were with Lexmark printers, and how likely they were to recommend them to others. 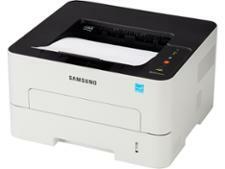 Find out how well Samsung printers score for reliability, and how Samsung fares against rival printer brands. Discover the most common issues found with Samsung printers as users report on a range of faults, including power problems, slow wi-fi connectivity and hardware failures. See how Samsung fared based on its customer score – we asked those in our survey how satisfied they were with Samsung printers, and how likely they were to recommend them to others. Which? has a wealth of information on Britain's favourite computing brands. Every year we ask Which? members to tell us about the technology products they own – from how likely they would be to recommend a brand, to how reliable the products are once they get them home. This year nearly 10,000 Which? 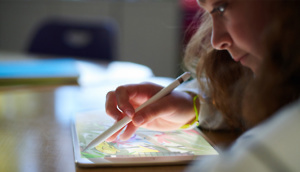 members told us about more than 20,000 devices. We calculate a brand's reliability and its customer score based on the results of our annual survey. 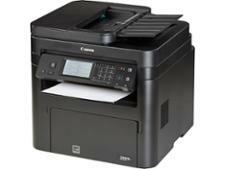 Our reliability surveys, combined with our extensive lab tests, mean we can recommend the best printers you should buy. This data is crucial for our testing, too. If a brand falls far below the category average, we take away the manufacturer’s Best Buy status and won’t recommend any of its products unless a marked improvement in reliability is shown.